In most SEO campaigns, the use of keywords can help a website rank high on the search engines. However, there is a limitation to the use of keywords, as their excessive use is called keyword stuffing. The unnatural use of keywords is a black hat SEO technique which has been used during the past decades. Besides, Google has updated their Penguin algorithm to scrap off illegal methods like this one and keyword stuffing can no longer help any website rank online. Moreover, the Content Strategist of Semalt, Natalia Khachaturyan, states that such technique increases the risk of a website to suffer from a ranking penalty as well as deindexation. Content relevance has become the new ranking factor Google gives priority. With keyword stuffing, you tend to include too much content which may or not be relevant to your users. Putting too many keywords can make your content remain not useful to your target audience. No person searches a website to stay on the page if the content is not solving their initial intention. Most businesses do not use excessive keywords nowadays because this method no longer pays as a ranking method. Moreover, when the content is not relevant, the engagement time on your website becomes low. Phrases including names of places and cities of the area where the site is trying to rank. These words try to spam the local SEO search engine ranker. Lists of many phone numbers which do not have any value to the content or domain at hand. Unnatural way of repeating statements. For instance, "we have red roses to suit your red rose need in this red rose regime to your red rose. Our red roses are red with many roses. Get a red rose with a red coloring our red rose sale of those red roses." How to detect keyword stuffing? One of the ways to identify keyword stuffing is by perusing the web content. In most cases, websites with keyword stuffing may contain too much irrelevant information with the keywords. Other webmasters tend to use hidden content which include the stuffed keywords. In this case, such webmasters may or not use a small font, which appears in a similar color as the background color. You can highlight everything to expose the hidden stuffed keywords. Pressing control + A button highlights all the web content. Pasting this content into a word processing document is essential. Some people can use a similar highlight color to the background, making it undetectable. For any e-commerce business, setting up a successful digital marketing campaign can be a good strategy. Many enterprises make many sales online using methods like SEO. In most SEO approaches, keywords research is a standard way of getting highly searchable terms for use in website content. This technique enables a site rank high on the SERPs of these particular phrases. However, the excessive use of a keyword to deceive search engines can lead to penalties such as deindexation. People should avoid using keyword stuffing as a digital marketing method. 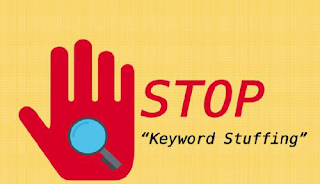 0 Response to "Insight To Keyword Stuffing By The Expert Of Semalt, Natalia Khachaturyan"